We are pleased to announce the arrival of our new scorecard holders! Designed especially for us by our leather supply partners, these beautifully crafted wallets are produced in Milan calf leather in a range of tasteful finishes. 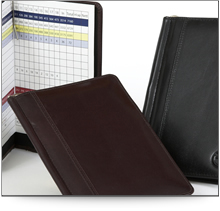 The exterior can be debossed with your logo or message and the logo repeated on the inside cloth cover. 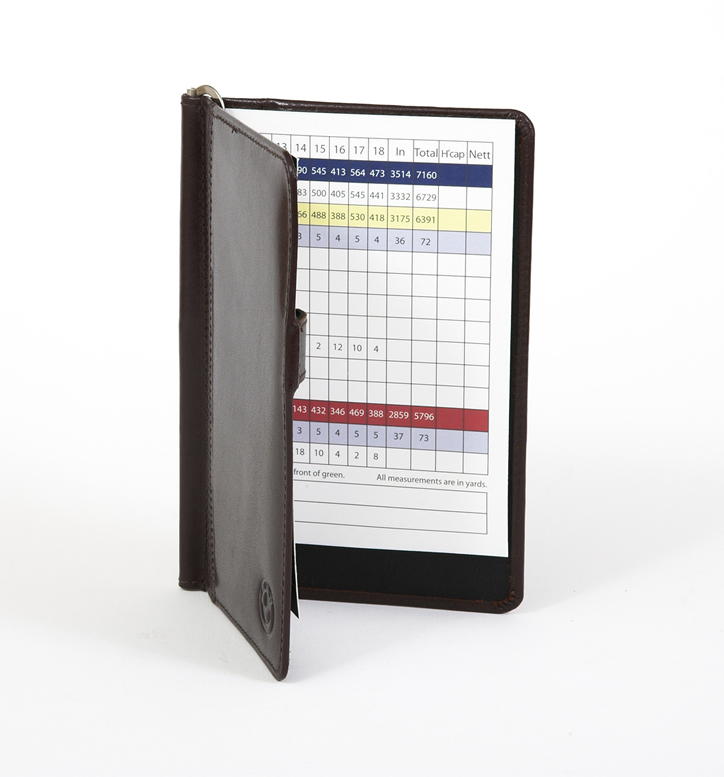 All the scorecard holders are available with or without personalisation and also with low minimum order quantities. 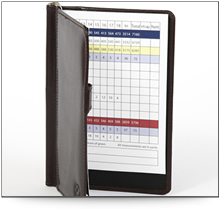 Prepare to be amazed by the great value for money that these scorecard wallets represent. As a high-quality gift or prize these are a must have! 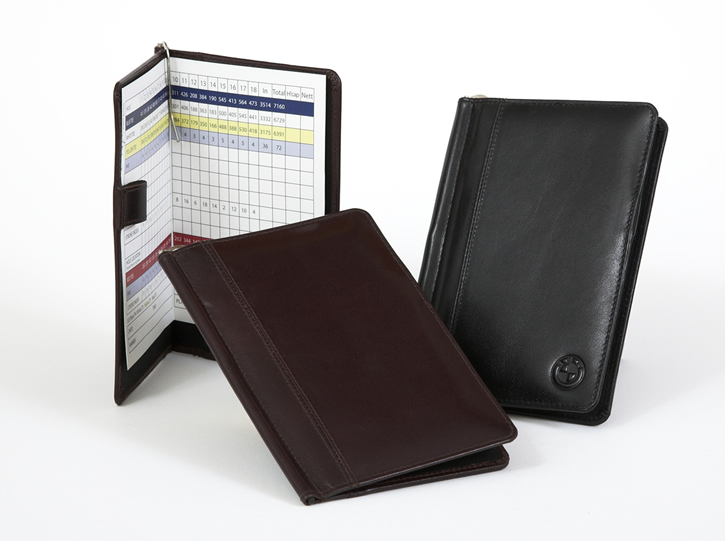 For further information on our range of custom, embossed scorecard holders, contact us now or telephone 0118 9 735 656 for a chat.